A prisoner will spend more time behind bars after admitting breaking his girlfriend’s nose during a violent attack. Lee Sheeran, 33, also sent a sexual photograph to her mother and a friend just weeks later, after they had split up. He was already in HMP Forest Bank when he appeared at Wigan and Leigh Magistrates’ Court this week. 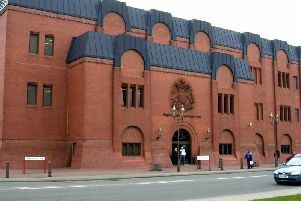 And he will serve an extra three months in prison after pleading guilty to assault occasioning actual bodily harm and disclosing private sexual photographs. Andrew Martin, prosecuting, said an argument broke out on Boxing Day in 2017 after Sheeran complained about not having any cannabis. He made threats to her and threw a cup of coffee, which spilled on her and damaged a window. She went to the bathroom and he got in while she was washing her hands and attacked her. The woman went to Wigan Infirmary for treatment a few days later, where it was confirmed she had broken her nose. The court heard the injury still affects her, as she struggles to breathe through her nose and is self-conscious about her appearance. The couple later split up, but on January 16, 2018 the woman called police to report Sheeran had sent a sexual photograph of them to her mother and friend. Sheeran had 38 previous convictions and was given a two-year custodial sentence in December after committing assault occasioning actual bodily harm. Ian Morris, defending, said there had been “animosity” around the couple’s break-up and messages about Sheeran had been sent to mutual friends. 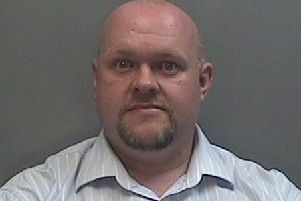 Sentencing, James Fagan, chairman of the bench, said he believed the offences “cross the custody threshold” due to the serious injuries, the victim’s continued health problems, the domestic setting, his previous record and the distress caused by the distribution of the photograph. He handed down a three-month prison sentence for each offence, to be served concurrently but consecutively to his current prison term.